Benefits of a Warm Pacific. 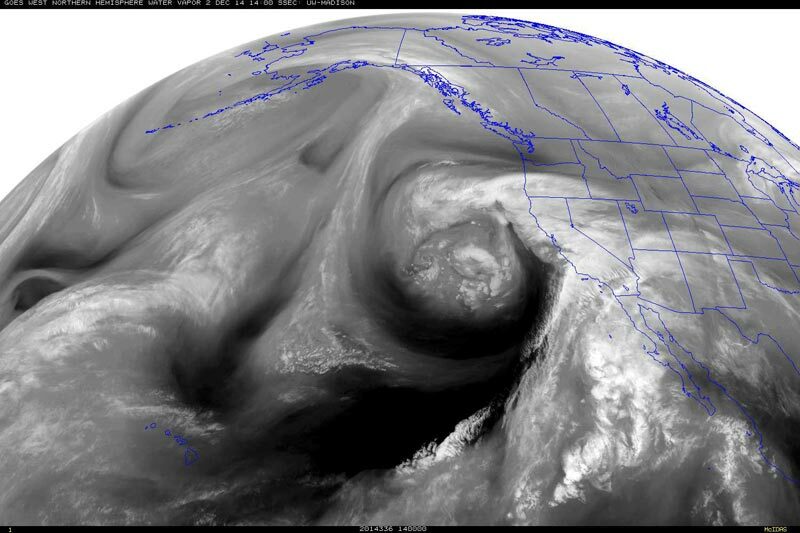 Pacific Low Produces Record Rainfall. 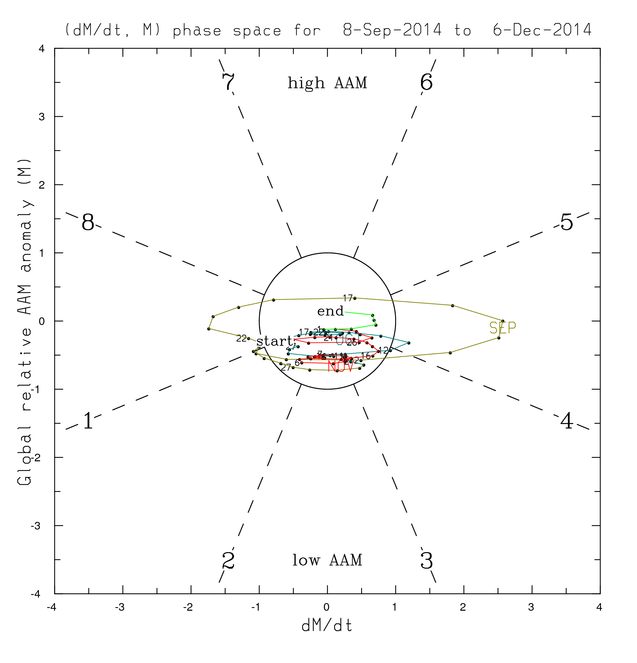 El Nino Indicators Continue to Rebound, But Atmosphere Hangs Tough. For the Four-Day Period Ending 12/04/2014 4:00 am. After being negative for 3 1/2 years, the PDO Index has been positive since January 2014. October's PDO value of 1.49 is the 6th highest for that month since 1900 and comparable to PDO Index values in October 1997, 1957, 1993, and 1987. 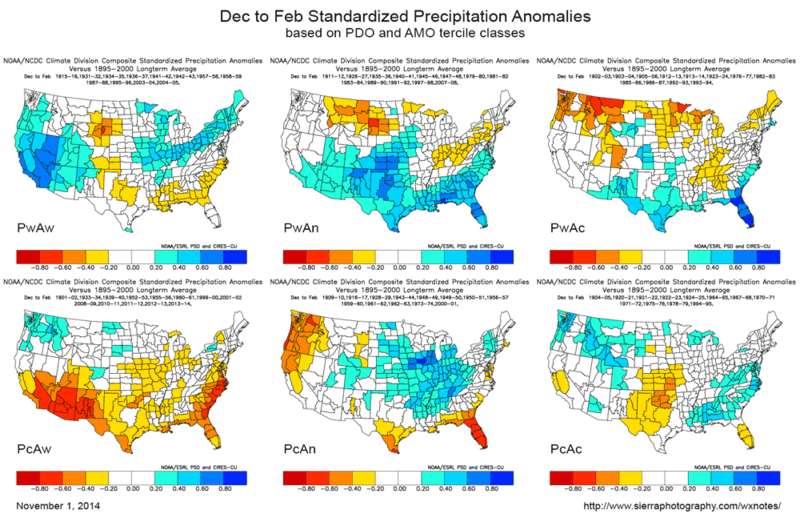 PDO/AMO-based Precipitation composites suggest a warm Pacific generally produces more Winter precipitation in California than a cold Pacific. This makes sense. 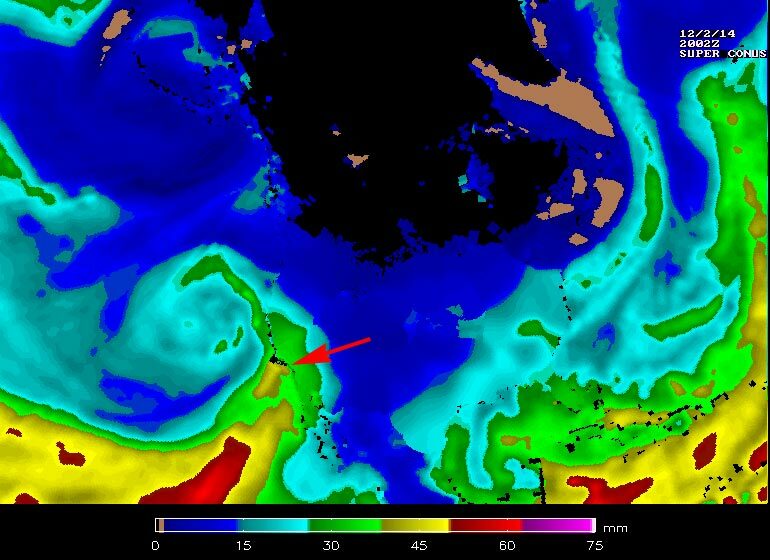 Among other effects a warm Pacific increases evaporation, air temperature, and the amount of water vapor transferred to the atmosphere. This in turn can increase precipitation. Here is a comparison of Pacific SST anomalies at the beginning of December 2014 and December 2013. Mouse over the image to switch to the December 1, 2013 image. 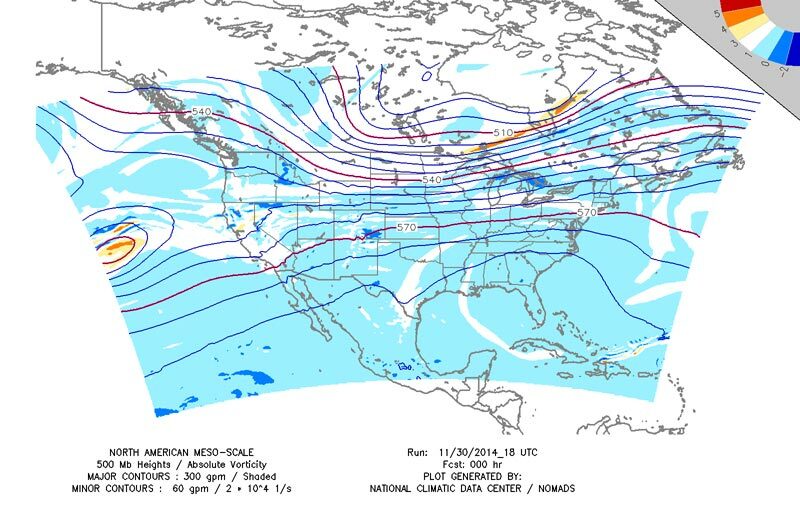 A warm Pacific may have contributed to the amount of precipitation produced in California by a large Pacific upper level low this past week. Two periods of rain were observed in Southern California -- one on Sunday and the other on Tuesday and Wednesday. 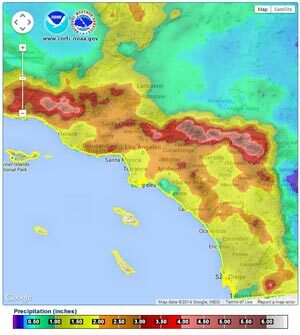 Sunday an embedded short wave in the moist southerly flow produced more rain than expected in many areas of Los Angeles. 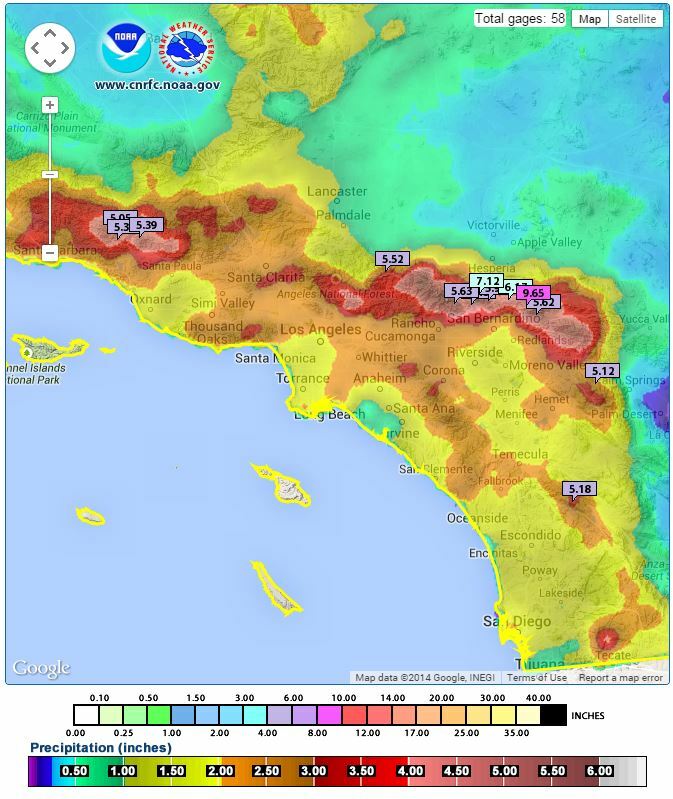 Surprisingly high rain rates and amounts in the Santa Monica Mountains, resulted in debris flows in the Springs Fire burn area that closed PCH. Here's a NWS compilation of some rainfall totals in the forecast area. 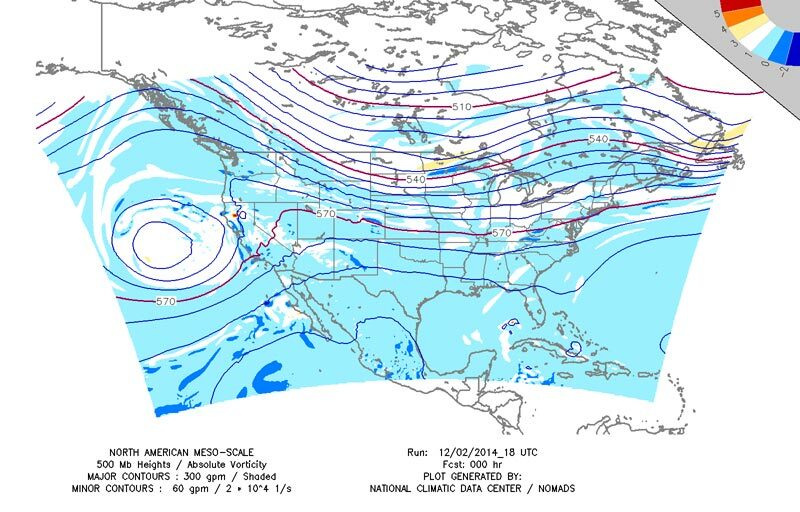 Even with the parent low lifting to the north on Tuesday and the 570 mb contour near Santa Barbara, the very moist southerly flow orographic lift and sufficient dynamics produced widespread precipitation in Southern California with some impressive precipitation totals. Tuesday record rainfall for the date occurred at both Downtown Los Angeles and Downtown San Francisco. 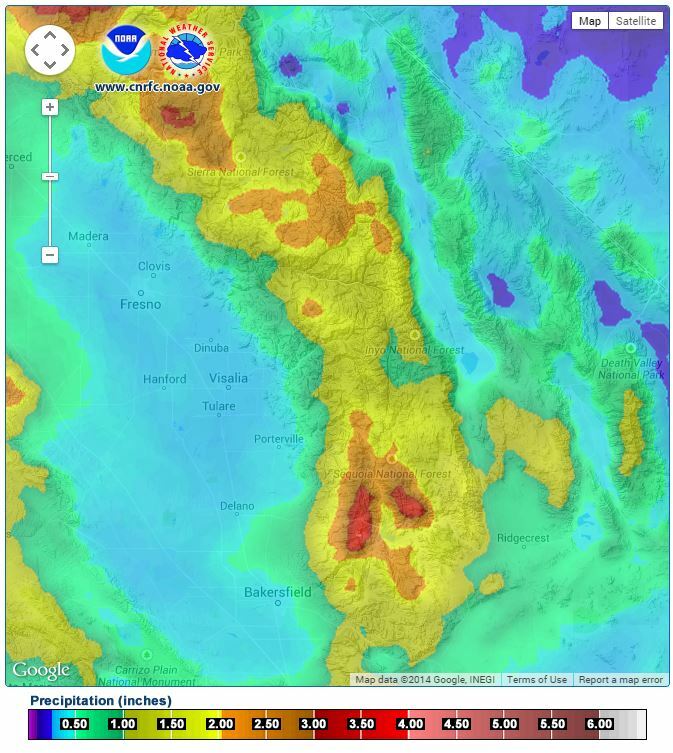 Yucaipa Ridge in the San Bernardino Mountains recorded a whopping three-day rainfall total of 14.6 inches. 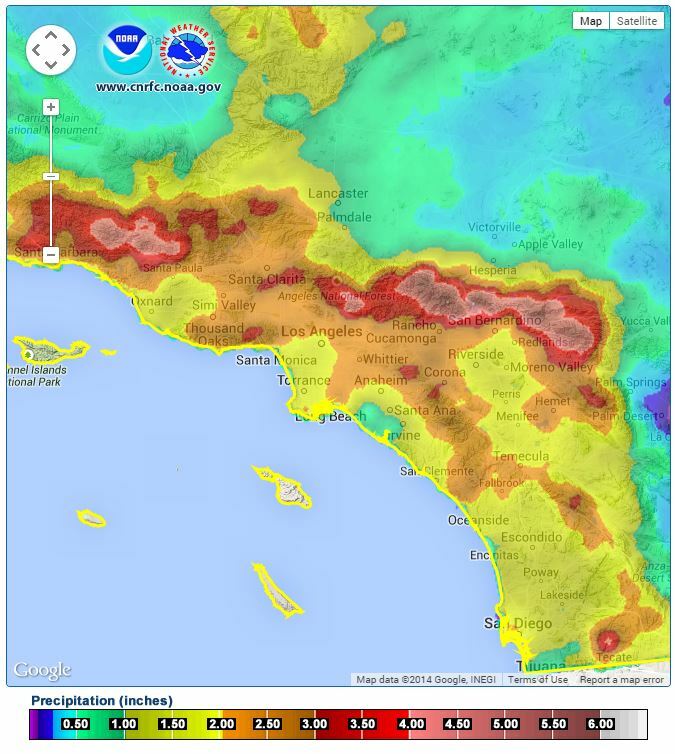 Following are three-day rainfall compilations from the NWS Los Angeles/Oxnard and NWS San Diego. 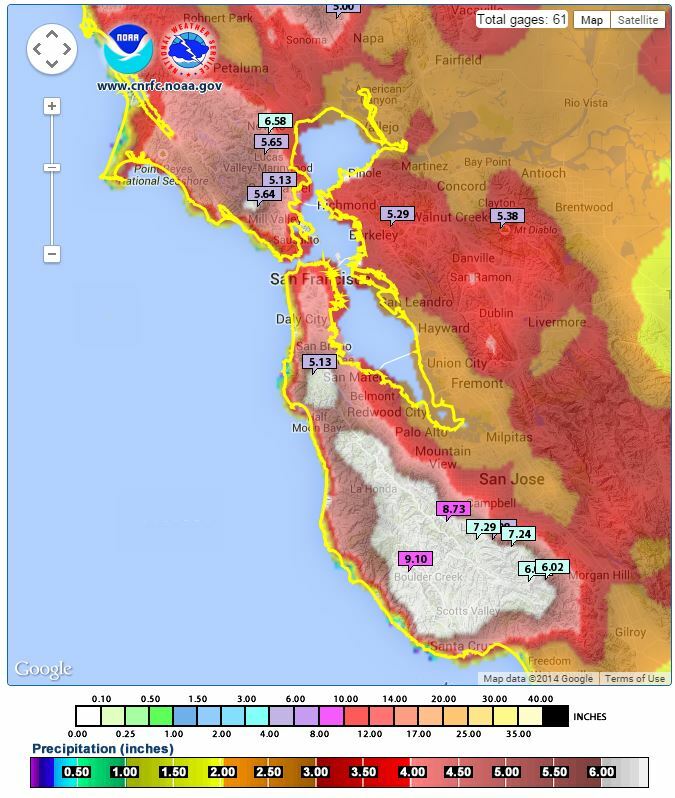 Here are graphics from the CNRFC with gridded precipitation totals for the four day period from early Sunday morning to early Thursday morning for Southern California, the Sierra Nevada and the San Francisco Bay Area. Some preliminary precipitation totals of 5 inches or more are noted. For now the Pacific storm door appears to be open. Most medium-range guidance is suggesting another significant system will be affecting California in the Thursday-Friday timeframe. We'll see!